Happy Wheels may sound like a simple bike-riding game for kids, but like Happy Three Friends, you’d find something else entirely. 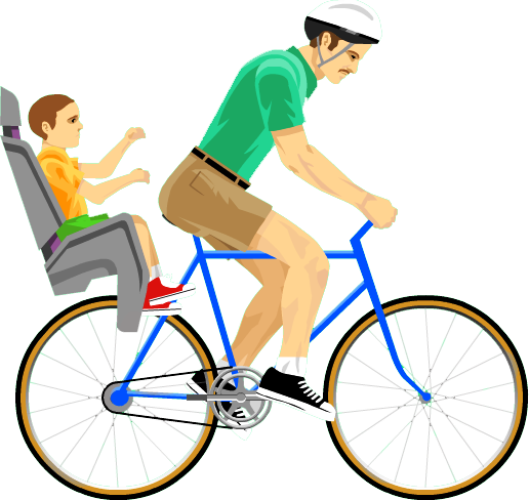 In happy wheels, you get an assortment of characters and bikes but the dynamic is really simple: lead your character in a bike ride around the park. A park filled with mine fields, mega jumps and a bed full of spikes. Yikes. There is an active map making community to make sure that you will never get bored—and that there’s always constant horrifying gore. The game has been around for quite a while (play it here). Developers promise better physics for the next sequel. I’ve had a chance to try it myself and it’s kind of fun; once you get the hang of literally losing your head once in a while.